Hendy Woods is about 125 miles north of San Francisco. Do a rest stop in Cloverdale, the driving west on Route 128 is windy and slow for a while, but then things level out when the scenic Anderson Valley is reached. 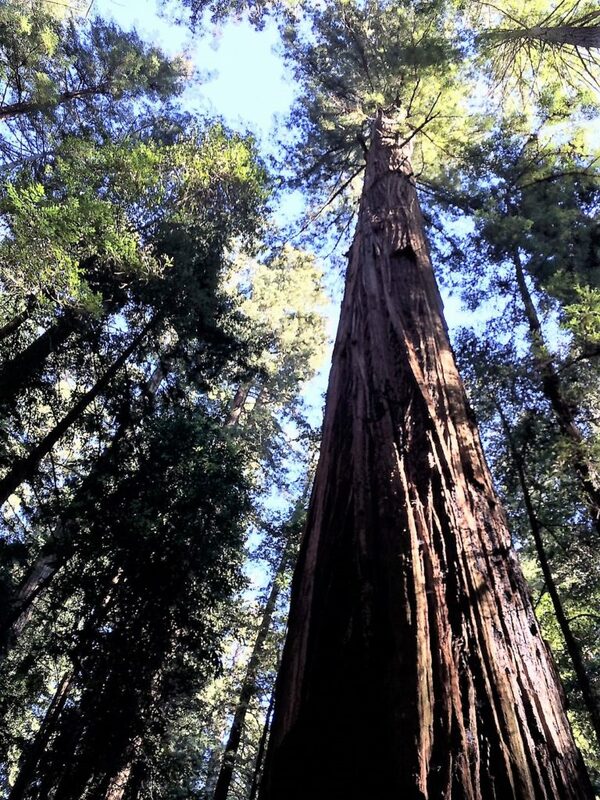 Hendy Woods is small but has some big and tall redwoods, a few above 340 feet in height. The loop trails are easy level hiking. Montgomery Woods is 30 winding miles north of Hendy Woods. 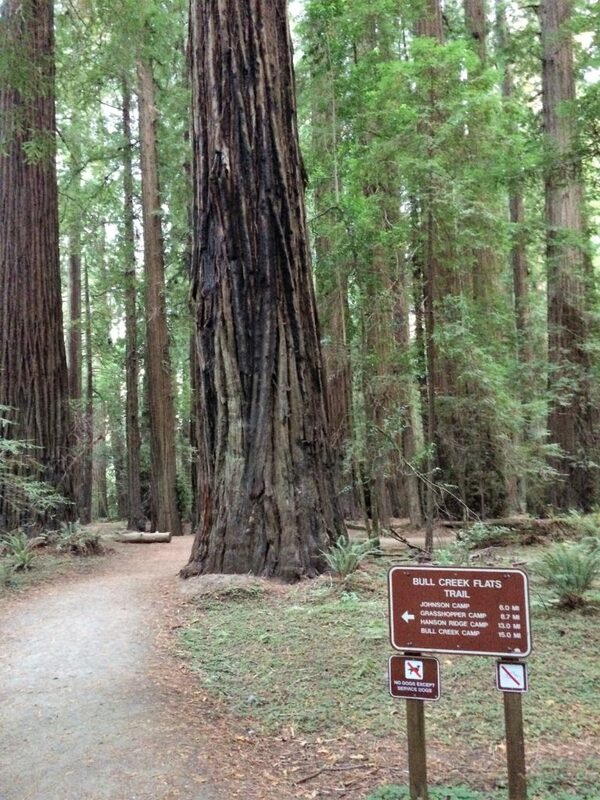 This is a pretty famous redwood park. 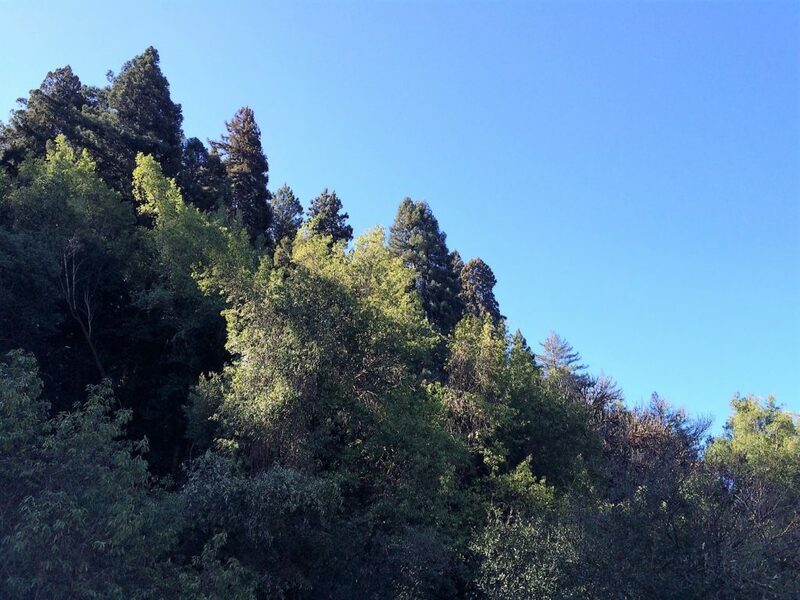 It has a couple trees that are in the top 20 in height among all redwoods. There is a short hike from the parking lot to the grove that has a pretty good elevation change but is very doable if a measured pace is followed. 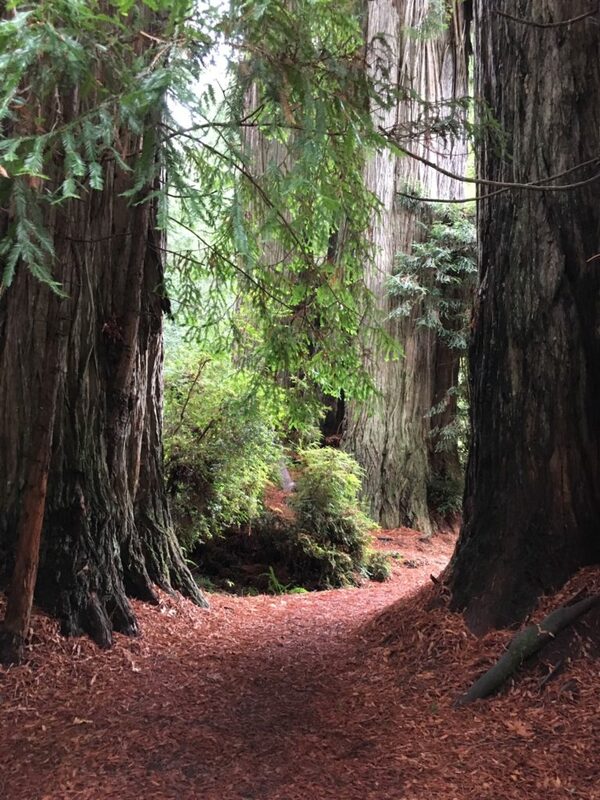 The trail is very nice, looping around both sides of the grove and allowing hikers to walk right among the tall trees. 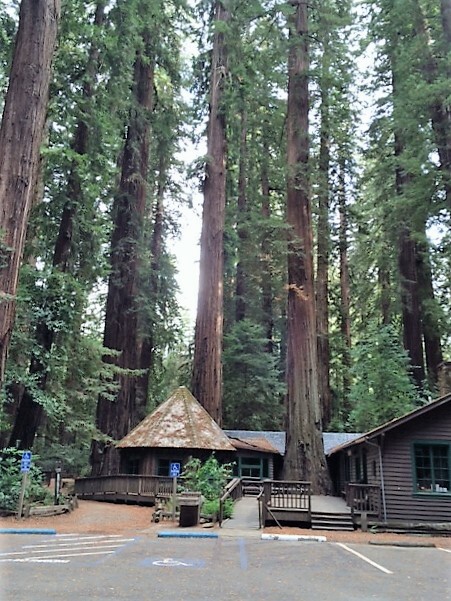 Richardson Grove is about 100 miles north of Montgomery Woods. The short drive through this grove along 101 is spectacular. Slow down and enjoy it. 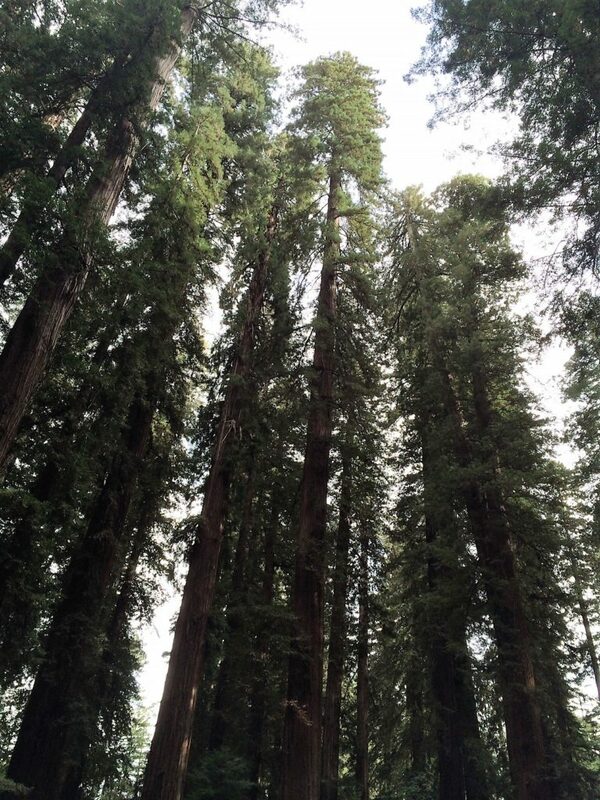 The tallest redwoods in the park are at the visitor center and are about 340 feet in height, but there are a bunch of big and tall redwoods right along 101. 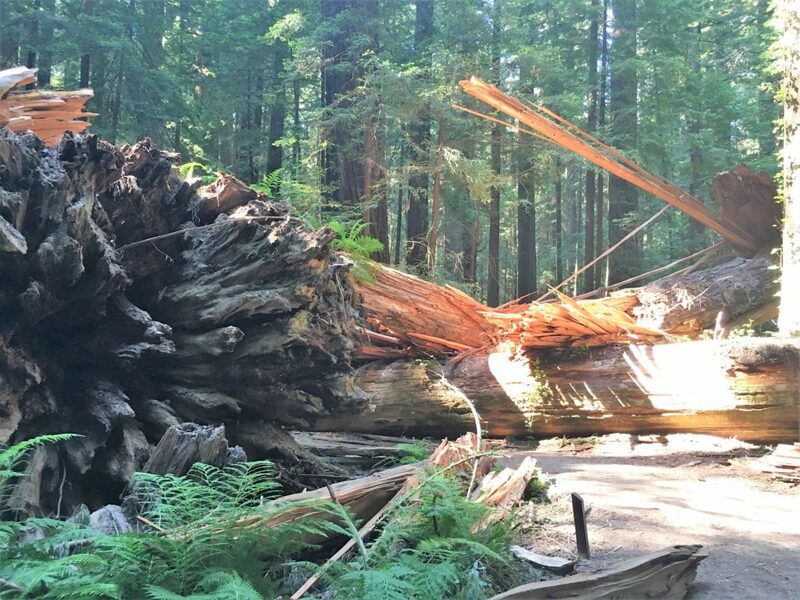 The heart of Humboldt Redwoods is about 40 miles north of Richardson Grove. 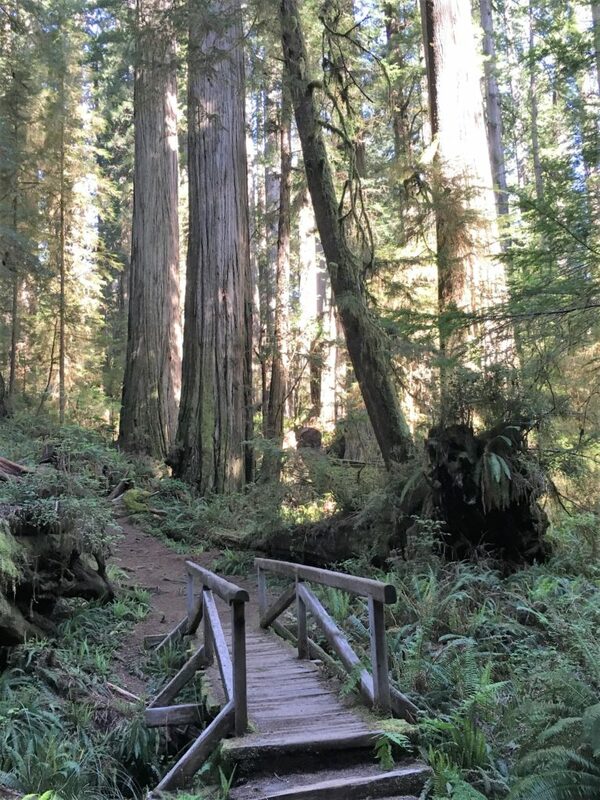 The Founders Grove and nearby Rockefeller Loop have very nice mostly level trails, with a number of trees over 360 feet tall. 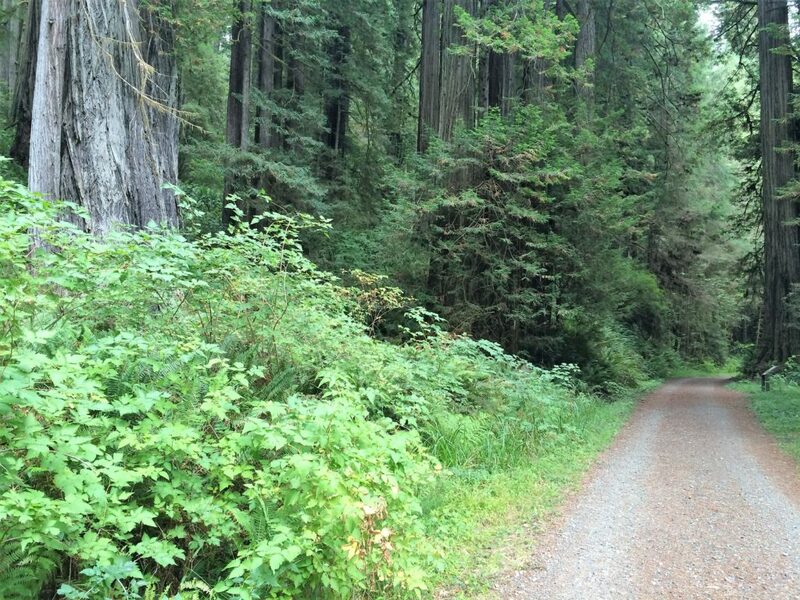 Redwood National Park is about 100 miles north of Humboldt Redwoods. 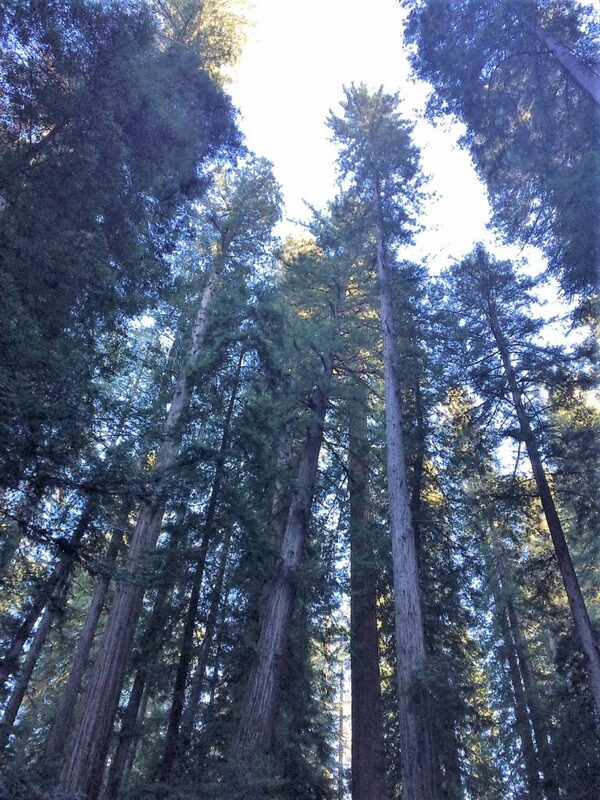 The tallest trees in the world grow in the remote Redwood Creek Valley and are 380 feet tall. 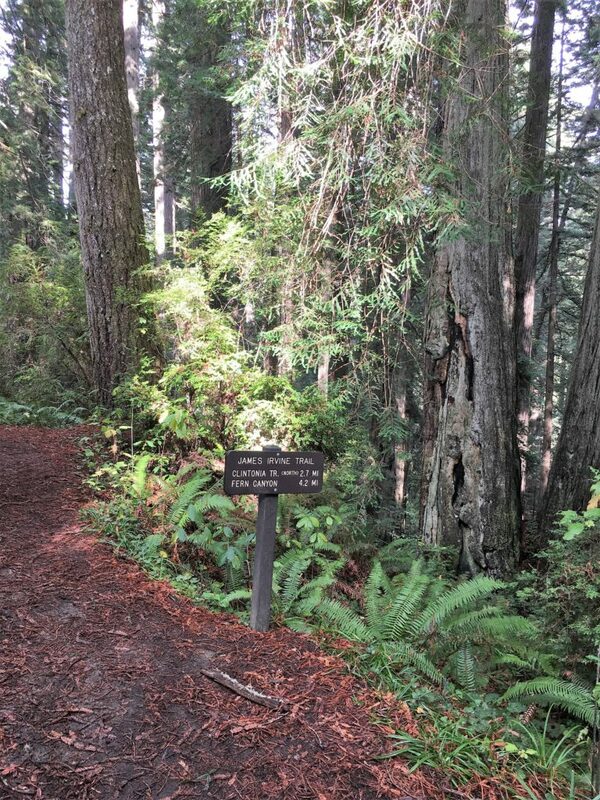 However if you want to drive deep into a big redwood forest with easy hiking do the Lost Man Trail. 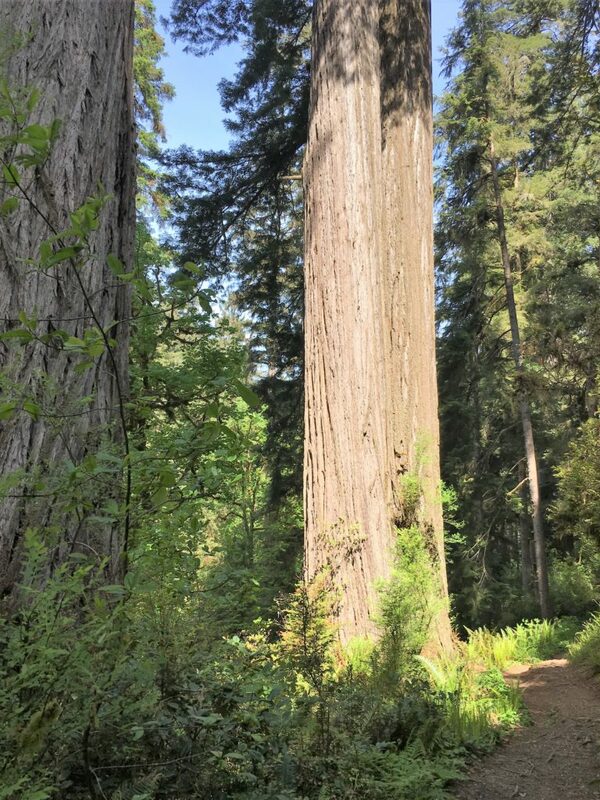 There are big trees in Lost Man as well as a few over 350 feet tall. Another good Redwood National Park trail near Klamath is up Flint Ridge, it is well constructed and the climb is scenic and gradual. 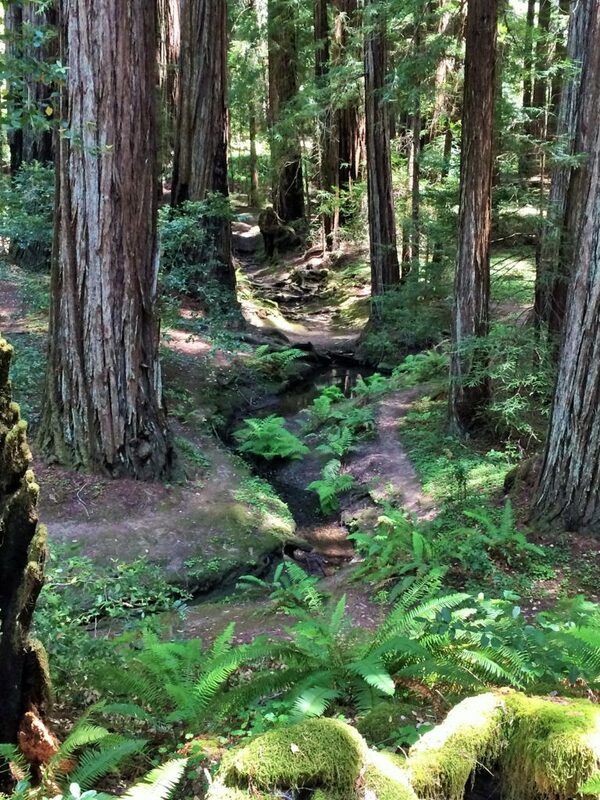 Prairie Creek Redwoods is just north of Redwood National Park and has many trails through fine redwood forests. The great trail network starts at the visitor center and there are also a lot of trails accessible along Drury Parkway and Cal Barrel Road. 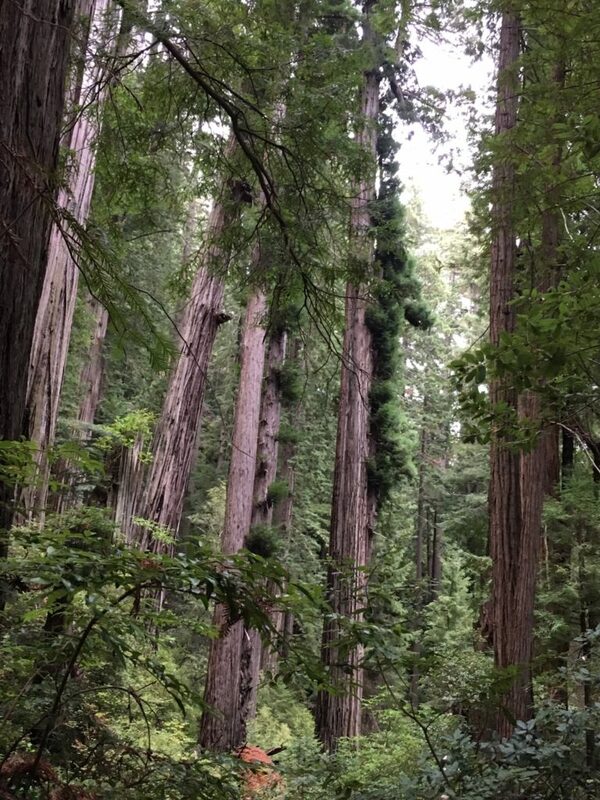 Lots of the largest (by volume) redwood trees are in Prairie Creek. The trails near Prairie Creek are relatively flat and then there are some trails going up the hillsides that have nice gradual ascents. 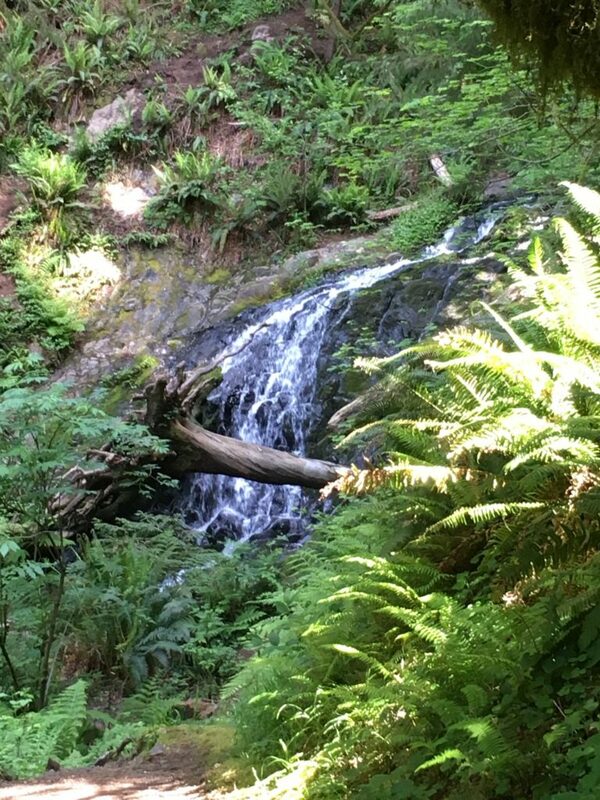 The heart of Del Norte Redwoods is about 20 miles north of Prairie Creek Redwoods. There are few trails and they are pretty steep. The section of the Damnation Creek trail from 101 to the old Coastal Highway is steep but not very long, the climb out is not a problem. The old Coastal trail at the Damnation creek intersection is very scenic and follows the outline of a big canyon. 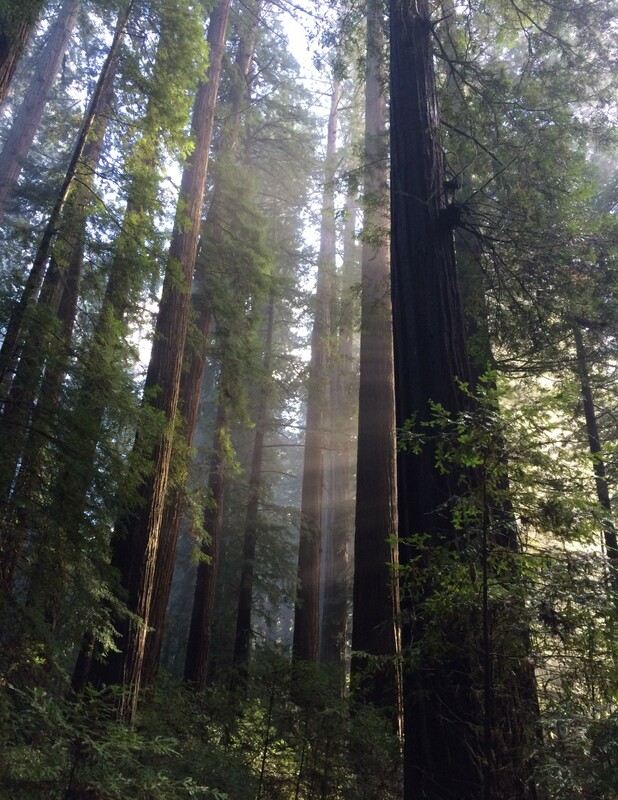 Jedediah Smith Redwoods is about 15 miles north of Del Norte Redwoods. The Boy Scout trail goes from the east to west end of the park. It has a couple small hills and is about a five mile hike out and back. 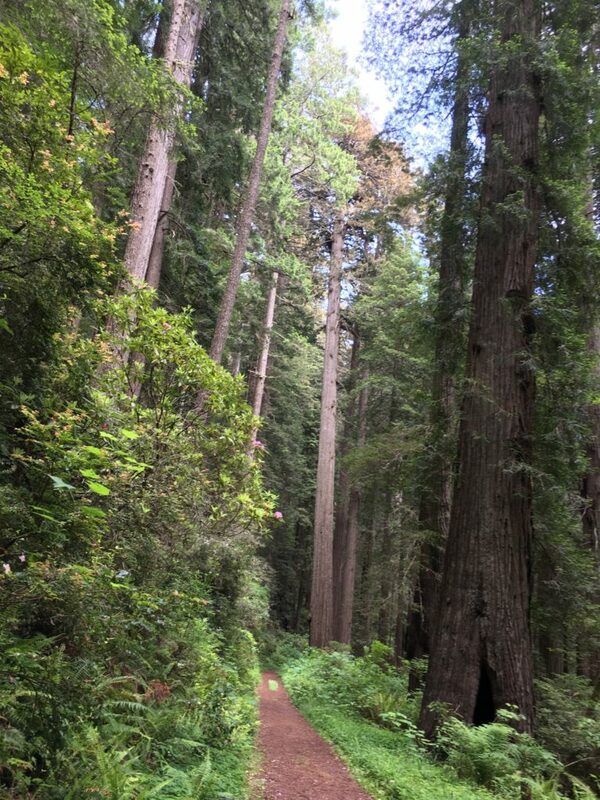 It is well worth the time and effort, don’t make a race of it and keep your eyes open for many big redwoods, some right along the trail.